The shooting of 12 of the 94 escapees from Buimo jail in Lae was the slaughter of human beings whose rights and life are protected by the Constitution. This calls for independent Commission of Inquiry. The Government must not sweep it under the carpet. No one condones the actions of the 94 prisoners to break out from jail. By making an informed decision to commit crime and being found guilty and punished under due process of the law they voluntarily invited the law to deny their liberty. By being ordered by the Court to be held in custody awaiting trial is part of the due process allowed by law. By committing crime one voluntarily invites appropriate punishment unto himself or herself. The Buimo jail breakout has brought to light serious issues which demand the Government’s immediate attention. There should be immediate audit and probing by independent authority or persons regarding the jail conditions nationwide, the infrastructures, lengthy periods the accused await trial, the inadequacy and the quality of food for prisoners, work environment and working relationships among officers, financial accountability, number of prisoners held in custody awaiting trial, prison security generally, etc. How long should a person awaiting trial be denied his liberty and be held in custody awaiting trial? What does the Constitution say about the right to life? Is the slaughter of the escapees permitted by law? Section 42 of the Constitution protects personal liberty. That is, one has a right not to be held captive unless permitted law. The circumstances under which a person may be denied his right to liberty are prescribed under Section 42 Constitution. There a number of them but for the purposes of this article a person may be denied his liberty by order of the Court having found a person guilty of a crime and whilst awaiting sentence or punishment or when the court orders sentence or punishment. A person can also be held in custody thereby denying his liberty upon reasonable suspicion of his having committed, or being about to commit, an offence. For a person who is held in custody upon reasonable suspicion of his having committed, or being about to commit, an offence (in other words, for an accused whom the Court has not found guilty of any crime yet) Section 42 Constitution states that the detention cannot be for a lengthy period. In addition, where a person is charged for committing an offence and is held in custody Section 37(3) Constitution dictates in no uncertain terms that: “A person charged with an offence shall, unless the charge is withdrawn, be afforded a fair hearing within a reasonable time, by an independent and impartial court”. These are unambiguous directions imposed on the relevant authorities, not just by any law but by the Constitution. The duty imposed on the relevant authorities is expressed in mandatory terms. The phrase “reasonable time” is not defined by the Constitution. When the Supreme Court interpreted Section 29 (2) of the Constitution which states that when the Public Prosecutor does not refer a leadership matter to a leadership tribunal within a “reasonable period” it defined the words to mean “one to four months except where special circumstances requires a longer period”, See Re Public Prosecutor’s Power to Request the Chief Justice to Appoint a Leadership Tribunal  PGSC 48; SC1011 (29 August 2008). There is no reason why the same definition can possibly be applied to the words “reasonable time” as used under Section 37(3) Constitution. Under both Sections 29 and 37 the intention of the law is about expeditious hearing and conclusion of a case, thereby avoiding delay. 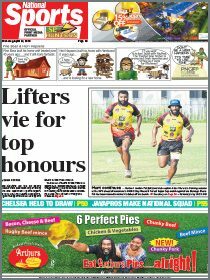 The new Acting Commissioner for Correction Service has publicly stated that: “remandees have been held in custody for four to five years awaiting trial”, Post Courier, 29.02.16. This is seriously unconstitutional because they are not brought to trial before the court “within a reasonable time” as dictated by the Constitution. It may be easier said than done. But that is no excuse to take it as business as usual. Frustration will always force mass jail break outs. Then we get slaughter of humans, as if that is the punishment for the alleged crime for which they were held in custody for years without trial within a reasonable period and for venting their frustration for delayed justice and therefore breaking out to freedom. The Acting Commissioner says that 10 of 12 escapees shot dead are remandees. accused of and for which they had been held in prison for four to five years? 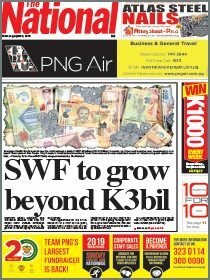 PNG has come of age and has become a litigious society partly because increasingly people are appreciating their rights and freedoms. Sooner or later we expect a class action brought against the State by remandees to enforce their Constitutional rights and freedoms. It is long overdue for the Government and its agencies, the directly involved stakeholders to take a serious look at this concern. The Constitution at Section 36 provides that every person has a right to freedom from inhuman treatment. It reads: “No person shall be submitted to torture (whether physical or mental), or to treatment or punishment that is cruel or otherwise inhuman, or is inconsistent with respect for the inherent dignity of the human person”. Keeping a remandee for four to five years or even a year without bringing him to trial within a reasonable time can cause mental or psychological distress and cause depression. Arguably he is subjected to mental torture over a prolonged period. He is undoubtedly treated in a manner that is “inconsistent with the respect for the inherent dignity of the human person”. This careless conduct on the part of the Government is an act that is not reasonably justifiable in a democratic society having a proper regard for the rights, freedoms and the dignity of mankind. It is inexcusable in the 21st Century. Do prison escapees have a right to life guaranteed by Section 35 of the Constitution? Section 35 says that no person shall be deprived of his life intentionally except where law permits. One of the circumstances where killing is permitted is “in order to effect a lawful arrest or to prevent the escape of a person lawfully detained”, Section 35(b)(iii), Constitution. Whilst killing is permitted in order to prevent the escape of a person lawfully detained, that is not absolute license to kill at wanton. To prevent wanton killing or in this case slaughter of escapees, Section 35(2) Constitution says that where a person is killed under the circumstances permitted under Section 35(1) even such killing, though by law, does not relieve any person from any liability at law in respect of the killing. In other words a person killing another under the circumstances permitted by law can still be held liable. How is that possible, the readers may ask. Well, Section 36(2) Constitution says that whilst killing under the circumstances prescribed by Section 35 may be permitted by law the manner of and the circumstances of the killing may contravene Section 35 itself which guarantees the right to life. That begs the question. Under what circumstances did this slaughter occur? Were the escapees armed, and if so what were they armed with, home-made or high powered guns? If so, were there exchanges of gun fire between them and the law enforcement officers? Was there some sort of group fight between the two where whatever weapons the escapees used endangered the lives of the law enforcement officers? Did anyone or all the escapees place the lives of the law enforcements officers in danger? If so why and how? If escapees were shot dead and some of the bodies maimed as alleged by the relatives of some of the escapees slaughtered that triggers the operation of Section 35(2) Constitution. It is sad to say that law enforcement officers do not have a pretty good record when it comes to use of guns on the people. Under the circumstances, particular as regards the manner of killing, the government should not treat this unfortunate event lightly. This is a case where an independent Commission of Inquiry is necessary and I call on the Minister responsible to take action. Those remandees who have been slaughtered and their relatives and the whole nation demands answers.